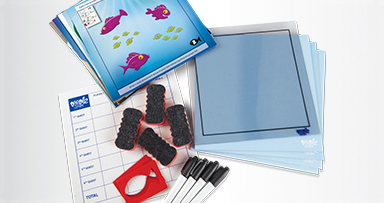 Dive below the deep blue sea where there’s fish to gobble, treasure to discover, and divers to save! 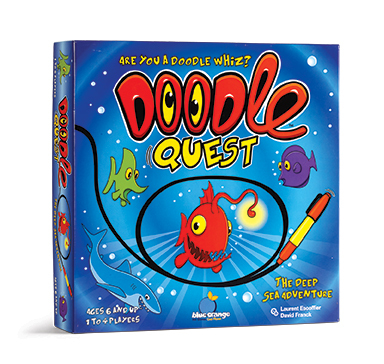 You will complete each quest with the power of your pen, drawing your way through underwater scenes on the quest cards. But it’s not that easy! 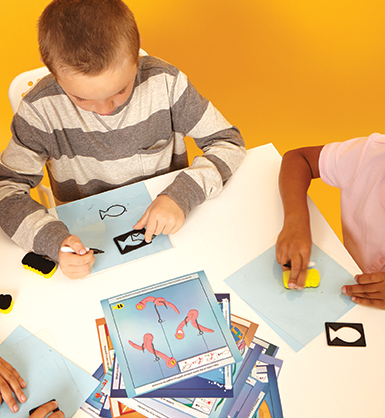 Players draw on separate transparent sheets and must trust their eyes in order to meet targets and avoid obstacles. This unique drawing game includes 36 illustrations and two levels to master. The bait of the challenge hooks kids for hours of fun!